If you or a loved one has been injured or killed in a bike accident in Fort Lauderdale, contact the team at Friedland & Associates today to begin building a case and work towards recovering the damages you are rightfully owed. Cyclists are exposed to a greater threat of personal injury in an accident than someone in a car, and what could be a minor fender-bender between two vehicles can cause significant, life-changing injuries to a cyclist. Bicyclists are at a greater risk of death in Florida than in any other state in the US, with 5.7 deaths occurring per every million residents in 2012. While this statistic is certainly alarming, it also highlights the importance of having qualified personal injury lawyers who are experienced with representing clients for bicycle accidents. The team at Friedland & Associates understands the risks associated with cycling, and will fight for you in a lawsuit to protect your financial rights following an accident. 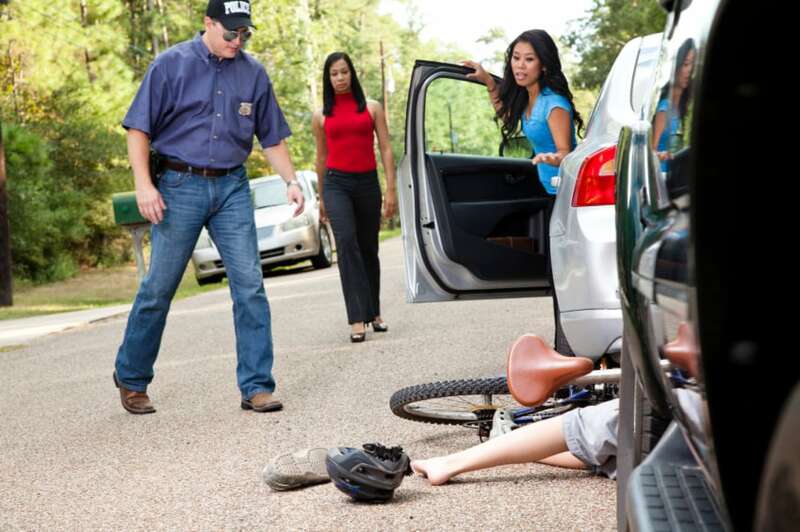 Contact us today to schedule a free consultation, and read more below about Fort Lauderdale bicycle accidents and how we can help. There are many other situations that could lead to an accident between a vehicle and a cyclist, but this is a short list of common situations that lead to injury. 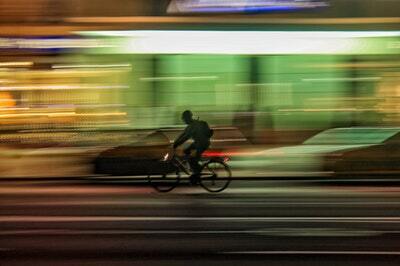 Bicycles operated between sunset and sunrise must have a front and back lamp with minimum visibility requirements. Cyclists must ride as close to the right side of the road or near the curb as safely possible, unless making a left-hand turn, avoiding hazards, or on roads where it is unrealistic for drivers and cyclists to share the road. Bicycles are allowed to ride no more than two abreast unless on roads or paths exclusively set aside for cyclists. In addition, two riders next to each other must not interfere with traffic. Cyclists must signal turns for the last 100 feet of travel before they begin to turn, unless they are unable to operate the bike without both hands. If this is the case, they must give a turn signal to the best of their ability, but not the entire 100 feet. Cyclists are allowed to occupy the left lane of a road when it is necessary in order for them to safely take a left turn. Headphones are strictly banned for use by any cyclists, unless it is a hearing aid. In addition to the aforementioned regulations that apply to cyclists in Fort Lauderdale, there are many other factors that a biker must consider and understand. Cyclists are at a greater risk of injury than people who are operating vehicles, because there is significantly less structure protecting them from an impact. As such, the injuries sustained from accidents on bicycles can be far greater than injuries sustained in fender-benders that would happen at a similar speed between two vehicles. This does not mean that you cannot seek financial damages for your injuries, but having an attorney who understands Florida bicycle laws and cyclist rights is an important first step to getting what you deserve. There are many laws that protect cyclists from injury, but unfortunately, a law does not mean an accident will not happen. There are a variety of personal injury lawsuits that can result from an accident on a bicycle, and in some unfortunate circumstances, there are wrongful death lawsuits that arise as well. The amount that a victim, or family of a victim, is entitled to will depend on a variety of specific factors that add to the situation, so it is important that they are discussed with an experienced personal injury attorney. You may be entitled to damages resulting from property damage, medical bills, lost wages, and rehabilitation costs. In addition to costs already incurred, an experienced personal injury lawyer will work with you to determine any possible future expenses or costs, such as future medical bills or lost earning capacity, as well as intangibles such as diminished quality of life and your pain and suffering. Before speaking with an insurance company, it is in your best interest to discuss your situation with an attorney to understand the appropriate next steps to take and to understand what this process will look like. Contact Friedman & Associates today to discuss the impact of your bicycle accident, how we can help, and the next steps we will take. During our free consultation, we will discuss the specifics of your accident and the impacts on your finances and overall quality of life to get a better understanding of the situation. We look forward to working with you to recover the damages you are rightfully owed.